a link to a great recipe came up on pinterest for energy bars yesterday and just had to try them. super easy, very quick and requires no baking, perfect. i think i will experiment some more with this recipe and add things like sunflower, sesame and pumpkin seeds, different nuts and sometimes add some raisins or dried apricots. as long as the dry ingredients are in the same measurements it should still turn out okay. tahini or peanut butter could be used in place of the almond butter. everyone enjoyed them even the littlest who kept coming back for more. 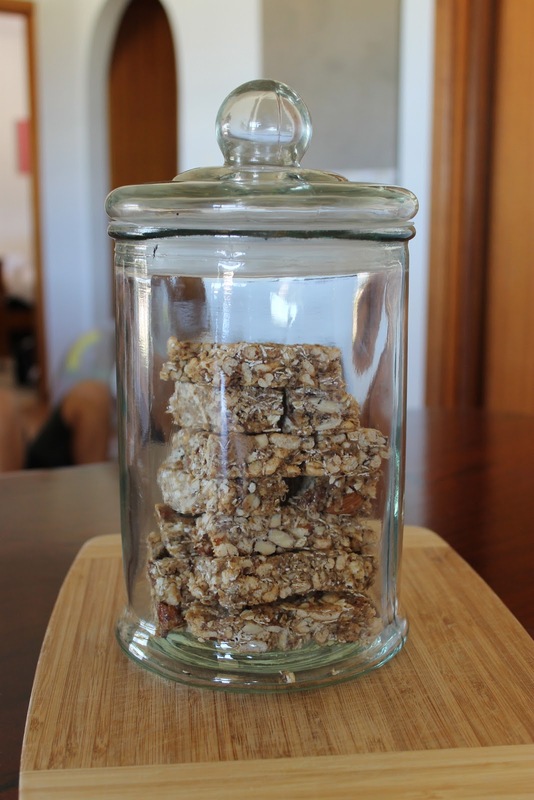 no bake energy bars, love them!